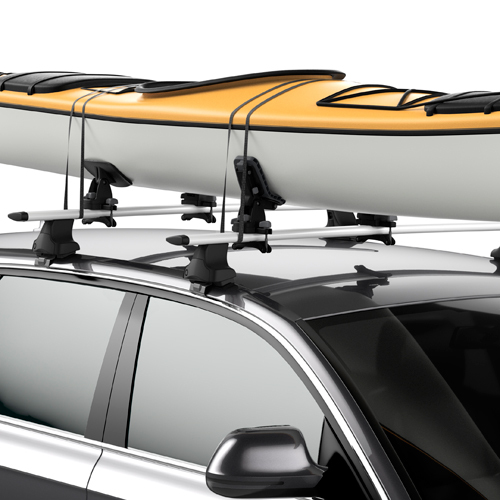 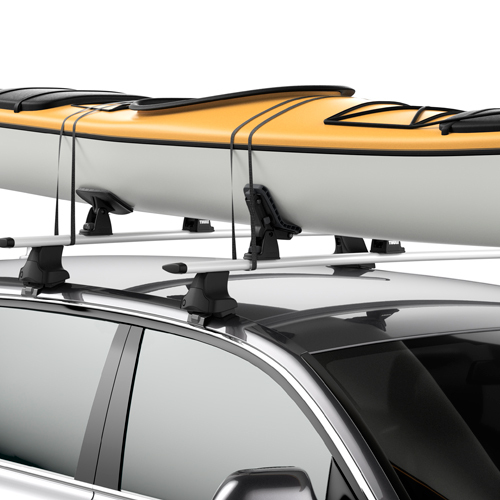 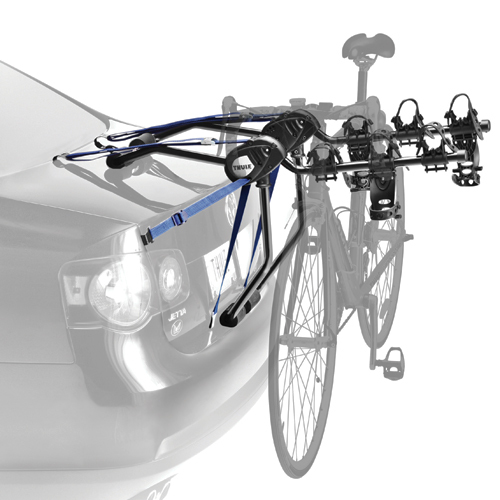 Thule 896 DockGlide Complete Kayak Carrier for Car Roof Racks combines low friction pivoting glide saddles with hull conforming deck saddles for a secure load-assist carrying option for one kayak. 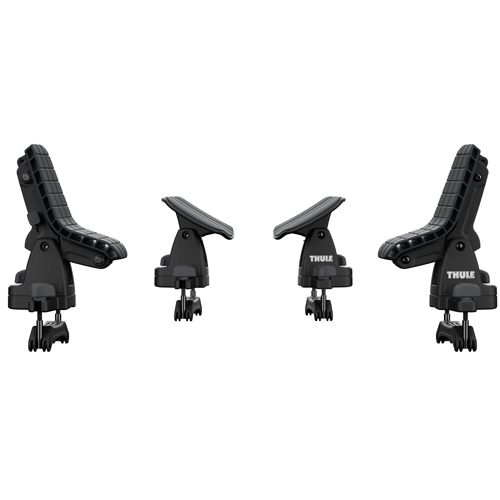 The pivoting glide saddles are lined with felt to make loading and unloading quick and easy. 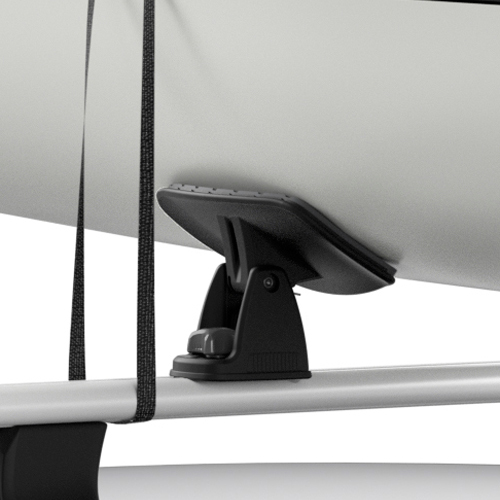 With maximum protection and support, large flexible padded deck saddles use angle-setting levers to conform to limitless range of hull shapes. 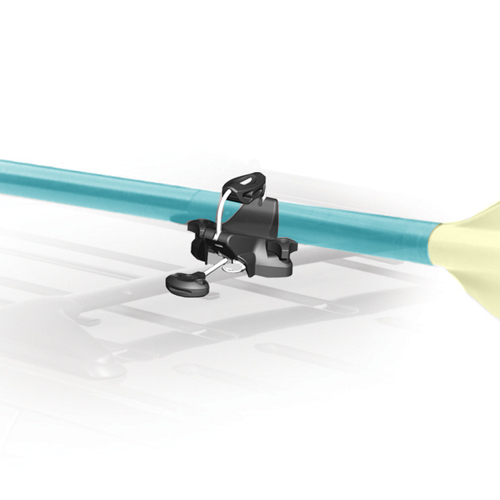 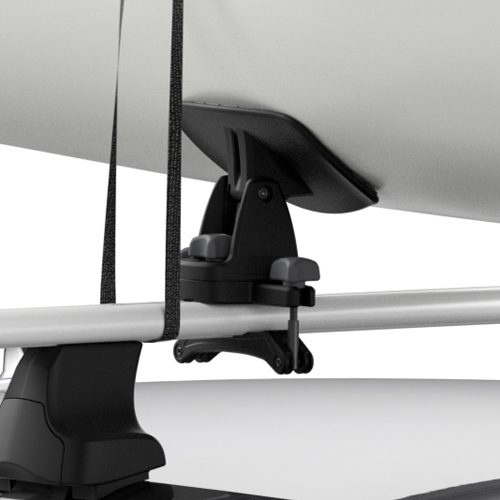 The DockGlide will accommodate kayaks up to 36" wide and up to 75 lbs. 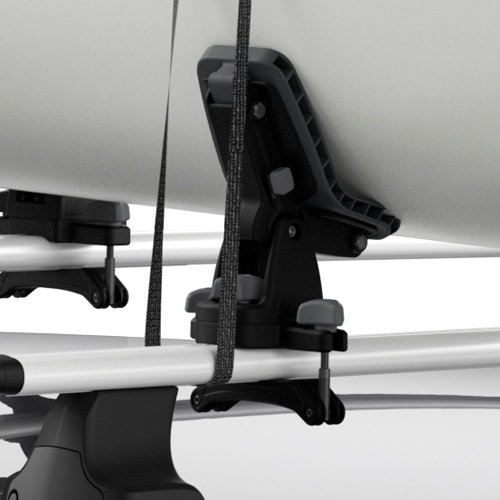 The DockGlide includes two ratcheting QuickDraw Bow Stern Tie-Downs and two Cam Buckle Tie-Down Straps with buckle protectors. 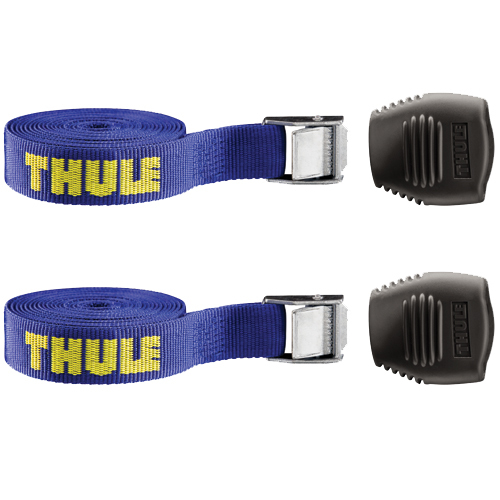 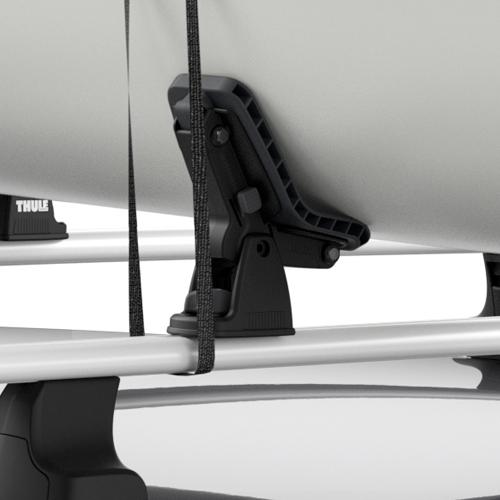 The 896 DockGlide includes t-track and flip bracket universal mounting hardware to fit all Thule Load Bars, Yakima Crossbars, TracRac Crossbars and most factory and aftermarket crossbars.